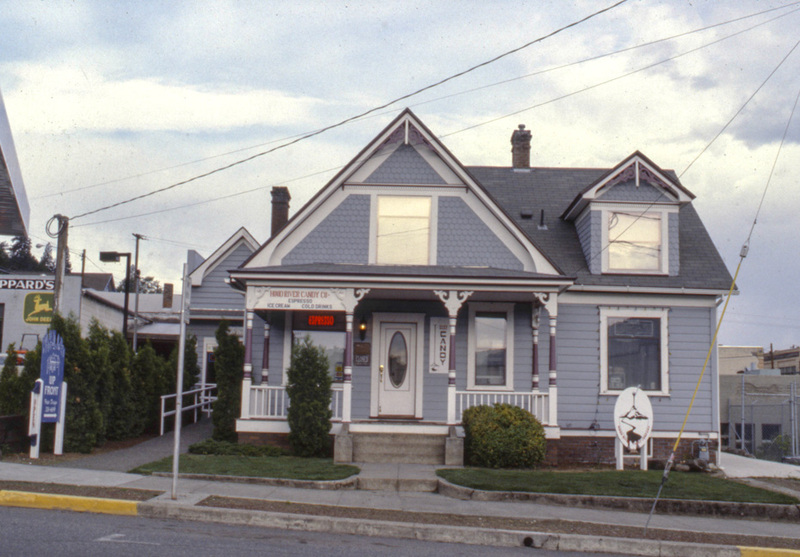 Here's the W. F. Laraway house on Front Street as it was in 1993. Sally Donovan too this photo as part of her survey of the downtown historic district. Have always admired that house and wondered who had it originally. I remember a period in my childhood that it was pretty run down, but thankfully it was given a bright new light. When I was a young kid, I live about a block from this house. But that was before it was the Hood River Candy Company. If it had been a candy store back then, for sure I would have known it. I seem to remember that Gary Pheil's family lived there in the 1950s. Anyone else remember that? Any further history re this house andthe Laraway family? The same one still here in HR? Yes, many Laraway family members are still in the area. I thought I had posted much older pictures of this house but apparently I haven't. I'll fix that, but if you click on the "Laraway" tag you'll get some of the family history. Norma, I think you are right about the Pheil's family living there. Ike Pheil and his two boys, Norman and Gary lived there in the 50's. Ike ran Ray's Transfer and Storage Co. and had the truck parked out front when he wasn't working. I don't remember the boys all that much, except for the passion Gary had for fast automobiles! As I recall, Bill Nelson & his wife, Carol operated the candy store while it was still a Beauty salon (Up Front) They lived upstairs. His wife Carol was one of the operators & Bill did the candy & I think he was on the HR City Counsel. The daughter sings with her husband & group named Willie & Nelson. I believe a law firm shares the building now.